Clean Greens Farm & Market is now accepting applications for their Community Supported Agriculture program. Community Supported Agriculture (CSA) is a popular way for consumers to buy local, seasonal food directly from a farmer. A CSA box is a box of produce that is delivered to you every week during the growing season. The box will be different every week depending on what is in season. The Clean Greens CSA program runs from July 16 through October 29. Small boxes feeding a family of 1-3 are $25/week. Large boxes feeding a family of 4-6 are $35/week. 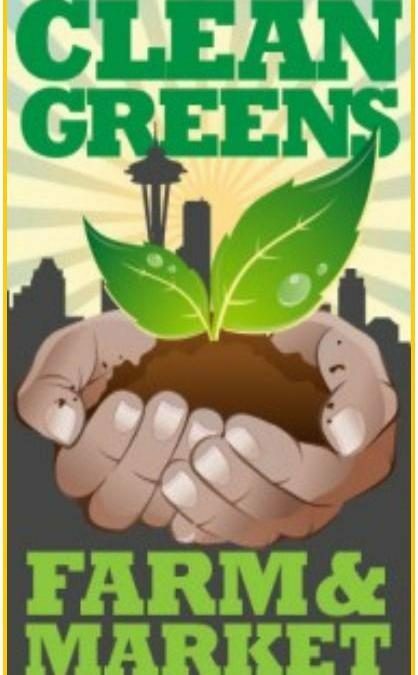 Clean Greens is a small nonprofit organization, owned and operated by longstanding African American residents of Seattle’s Central District. It was established to supply fresh, sustainably grown produce at affordable prices to low-income families in Seattle’s Central District. Clean Greens seeks to educate our communities on healthy eating and food justice. Find more information, including an application form for a CSA,here.